Your oral health is in good hands with Mississauga Dental Specialists. Our specialists are committed to lifelong learning and stay informed by regularly attending continuing education courses and seminars to improve our skills and the level of care for all of our patients. Dr. Girish S. Deshpande is a board-certified Orthodontist who has been creating beautiful smiles since 1993. Dr. Deshpande has successfully treated over 2,000 orthodontic patients including surgical orthodontic patients, cleft lip and palate cases, and children with dento-facial deformities. Dr. Deshpande utilizes an early treatment approach to orthodontics. His treatment goal is to improve or preserve natural facial aesthetics. Great amount of attention is given to the relationship between the nose, lip and chin to achieve a balanced facial profile. He prefers to use non-extraction treatment mechanics. He has combined different treatment techniques and philosophies into a simplified system for easier, faster and safer orthodontic and dento-facial orthopedic treatment. Dr. Deshpande uses the latest technology by using options such as self-ligating clear braces, mini-screws as Temporary Anchorage Devices (TAD), Invisalign® treatment and I-braces. Dr. Deshpande is a Premier Preferred Invisalign® Provider. He is a clinical instructor at the University of Toronto in the Department of Orthodontics, and a member of the University of Toronto Orthodontic Alumni Association. He is also the only Canadian member of the Smiles Change Lives, a program that works to offer free orthodontic treatment to low-income families. Apart from our Mississauga location, Dr. Deshpande also practises in Ajax (905-427-4280) and Whitby (905-444-9449). A prosthodontist is a dentist specialized in the field of prosthodontics. In addition to their four-year dental degree, prosthodontists are mandated to successfully complete three additional years of full-time graduate or post-graduate education in a university or hospital-based program in prosthodontics, which is accredited by the Canadian or American Dental Associations. Following this training, a prosthodontist, like other dental specialists, is awarded the designation FRCD: Fellow of the Royal College of Dentists and is allowed to practise as a certified specialist in Canada. Dr. D’Souza completed her graduate training in the specialty of Prosthodontics and has a Master’s Degree from the Faculty of Dentistry at the University of Toronto. She obtained her Master’s Degree in which her research focused on packable composite resin materials. She has been involved in clinical and pre-clinical teaching at the undergraduate level and in the qualifying program for foreign-trained dentists at the University of Toronto. Dr. D’Souza has been working in Mississauga as a Prosthodontist since 2001. Her practice is focused on complex prosthodontics including crown and bridge, complete dentures, removable partial dentures, and dental implant restorations both removable and fixed. A large portion of her practice is the treatment of patients with severely worn dentitions, aesthetically challenging dentitions and malocclusions that require complex rehabilitation. In addition, she sees patients with TMJ disorders, who are diagnosed and treated conservatively. She has presented lectures at the Halton Peel Dental Association, the Canadian Academy of Restorative and Prosthetic Dentistry, the Periodontal Associates Study Club, the Association of Prosthodontists of Ontario and for Nobel Biocare®. She is currently President Elect of the Association of Prosthodontists of Ontario, a member of the Association of Prosthodontists of Canada and the Canadian Dental Association, and a Fellow of the Royal College of Dentists of Canada. 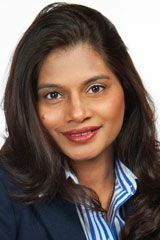 She is a consultant Prosthodontist at the Trillium Hospital in Mississauga and maintains a private practice in Mississauga, limited to prosthodontics and implant dentistry. Dr. Vinay Bhide is a board-certified Periodontist who provides the full scope of surgical periodontal and dental implant therapy. In addition to the conventional periodontal procedures such as pocket reduction and crown lengthening, Dr. Bhide has a special interest in aesthetic and reconstructive periodontics; procedures involved include soft tissue grafting for correction of gingival recession, periodontal regeneration, and pre-prosthetic site development including alveolar ridge augmentation, maxillary sinus floor augmentation (both direct and indirect), and guided bone regeneration (GBR). Dr. Bhide earned his DDS from the University of Toronto in 2001, and subsequently completed a one-year internship at Mount Sinai Hospital in Toronto. He completed his Master of Science and specialty training in Periodontology at the University of Toronto in 2005. Dr. Bhide is an Examiner and Fellow of the Royal College of Dentists of Canada and Diplomate of the American Board of Periodontology. 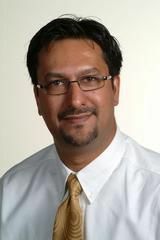 Dr. Bhide is also a member of the International Team for Implantology (ITI). 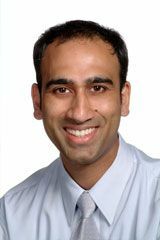 In addition to private practice, Dr. Bhide holds the rank of Assistant Professor at the University of Toronto, and is involved in didactic and clinical teaching of periodontics at both undergraduate and post-graduate levels. He has lectured nationally and internationally on various topics related to periodontology. In his spare time, Dr. Bhide enjoys spending time with this family, running, playing tennis and, of course, reading anything! 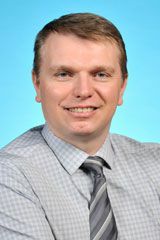 Dr. Pavel Cherkas is excited and honoured to join the Mississauga Dental Specialists! Dr. Cherkas is an Assistant Professor of Endodontics and Oral Physiology at the Faculty of Dentistry at the University of Toronto. His area of expertise focuses on endodontics, neurophysiology and orofacial pain. Dr. Cherkas graduated from the MSc program in Endodontics at the University of Toronto, followed by his Fellowship at the Royal College of Dentists of Canada. Prior to this, he attained his M.Med.Sc and PhD from the Faculty of Dentistry at the Hebrew University of Jerusalem (Israel). Dr. Cherkas has conducted pain research at several universities worldwide such as Cambridge (UK), Leipzig (Germany) and Tokyo (Japan). He has served on the editorial boards for the Journal of Endodontics, Journal of Chemical Neuroanatomy and the Journal of Orofacial Pain. He is widely published in peer-reviewed scientific journals and contributed to current clinical guidelines. He has lectured nationally and internationally on topics related to his expertise. Dr. Cherkas speaks English, Russian, Belarusian and Hebrew.